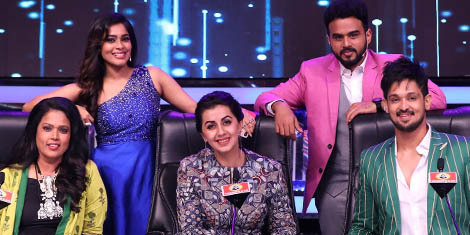 Get ready for some exciting and interesting moments as Tamil cinema’s latest diva Nikki Galrani joins the judges panel in this week’s dance reality show Dance versus Dance on COLORS Tamil. Having impressed Tamil audience with her mesmerizing dance performance in ‘Chinna Machan’, Nikki will be seen spilling her secrets to groovy moves on 2nd and 3rd February 2019. Backed by an energetic troupe of dancers, this week’s episode is set to elevate the contestants’ performance to an all new level. With elimination in card this week, will the contestants put up a sturdy battle to impress the judges and win the ticket to next round? Watch the journey unravel on Dance Vs. Dance. Catch all the exciting performances this coming weekend at 8:00 PM only on COLORS Tamil. 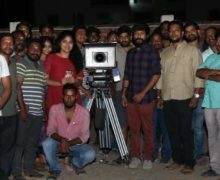 The channel is available on all leading cable networks and on all DTH platforms – Sun Direct (CH NO 128), Tata Sky (CHN NO 1555), Airtel (CHN NO 763), Dish TV (CHN NO 1808) and Videocon D2H (CHN NO 553).